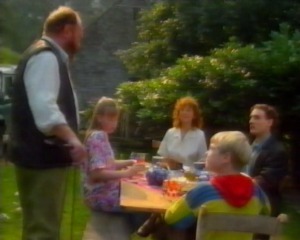 Mrs.Griffiths has put on a special tea for the children and Evan. Mr.Griffiths arrives and is not very friendly towards Evan although Evan offers to help him with the cows. Nia goes to get Gwyn whom she find sitting on the bed wondering what went wrong with his and Arianwen's spell. He tells her about what he and Arianwen had tried to do. 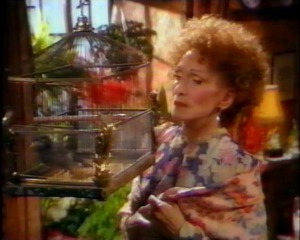 Nia realises that Evan was underneath the Chestnut tree and he must have got in the way of the spell. Gwyn saw the demon Prince under the tree but Nia saw Evan. Gwyn tells Nia that he has noticed that all the women around Evan love him whereas the men do not. Later on in the week Evan sees Catrin with her boyfriend Michael Evan does not too pleased. Michael wants Catrin to come out with him later but Catrin is unsure. She runs into the house. Evan and Nia follow her waving to Mr. Lloyd and Mr. Llewelyn who are looking at Evan's large white motor car parked outside. Inside the house, Catrin has made tea for them all. Catrin is jealous of anyone even talking to Evan. Nia is getting a bit like that as well. As they all sit down for a cup of tea Nerys asks about Evan's wounds and how terrible it must have been for him. Evan is horrible to Nerys, he shouts and chases her out of the room. He laughs an echoy type laugh, evil and devious which upsets Catrin and Nia. He then composes himself and sits down again to continue with his tea. Nia notices that Evan's hair is turning flaming red. The Lloyd twins enter the room and ask Evan to go swimming with them. He tells that it is too cold and then shouts at them when they continue on about it. 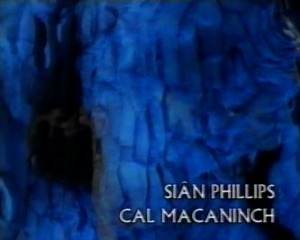 Both Catrin and Nia hang their heads when he shouts. Catrin asks Nia if she and her should go after the boys, whereupon Evan then offers to come with them. 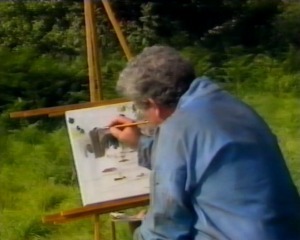 At the bridge overlooking the water, Mr. Llewelyn is painting a water colour. He sees the two boys playing in the water and Catrin, Evan and Nia watching them from the bridge. 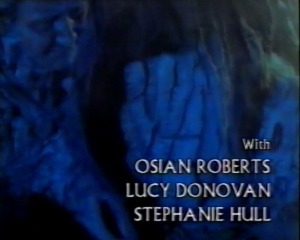 Evan then starts to talk to Catrin about the old myths and legends and starts to stroke Catrin's cheek. Nia does not like this and runs further along. 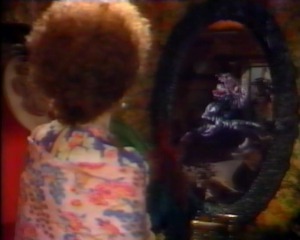 Nia sees Michael approaching on his large black horse from the other side. As soon as Glory sees Evan, the horse goes berserk and makes a bolt a bolt for it. An upset Nia runs back to the house and runs into Nerys on the landing. Nerys standing over several damaged toys belonging to Iolo. They are his farm animals. 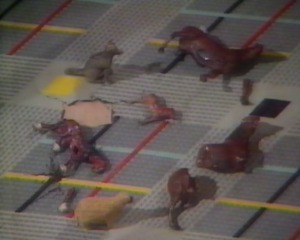 As Nia looks, Nerys tells her that only the horses have been twisted and mutilated. Evan upon returning for tea does not seem at all upset for poor Iolo who is crying at the table. In fact Evan seems strangely disconnected with the family group. After school Nia asks Gwyn to come round for tea. He is not too happy about this as everyone on the bus hears this and Gwyn was going home with Emlyn. Nia pleads with him to come back with her and so he reluctantly agrees. On the way home she tells Gwyn about the horse bolting and the damaged toy horses. Gwyn asks Nia if Evan really is her cousin. 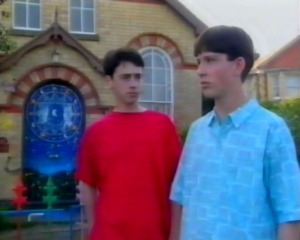 The two then head for the Lloyd's house. In the street they see Catrin, Evan and Michael talking. Michael is terribly upset. Someone has taken his horse and ridden it half to death. 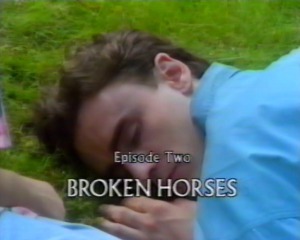 Michael believes the horse is dying and he needs Catrin at this moment. Michael tries to take Catrin but Evan tells him to leave her alone. Michael heads off home followed by Nia and Gwyn. On the way he tells the children that his family are descend from the Kings of Munster. Gwyn starts to put two and two together. Michael is Irish and Evan is Welsh. Could it be Briton and Irish legends starting to relive themselves with Catrin as Branwen. Nia tells Gwyn that Evan was wounded in Belfast in a bomb blast but that he bears no scars on his body. 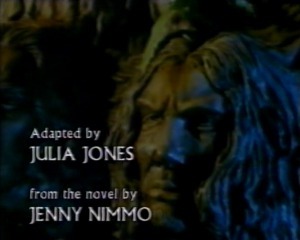 Later the Llewelyn's chapel house is broken into and the Unicorn belonging to Emlyn is found mutilated. All the three fathers (the Griffiths, the Lloyds and the Llewelyns) meet up at the Lloyds to discuss what has happened and what to do about it. 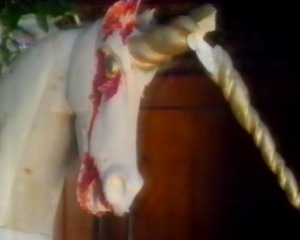 The Unicorn was targeted specifically, its eyes, lips, ears and tail hit with a small axe. Nothing else was touched in the Chapel though which is very strange.. 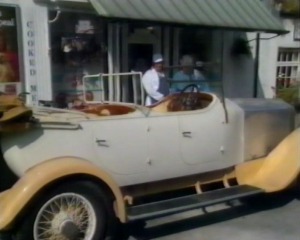 While all this happening, Evan and Catrin are out for a spin in Evan's big car. Mr. Lloyd is ready for a huge row when they get back as it is late but none of the women support him. Even Mrs..Lloyd ignores the fact Catrin stayed away for so long and has a music exam soon that she must practice for. She seems totally mesmerised by the very presence of Evan whereas Mr..Lloyd can hardly bare to be in the same room as him. Nia asks Catrin if Evan kissed her and the two start arguing. Nia even attempts to block Catrin from going upstairs. The next day Evan is out for a walk when he bumps into Nain. She is very pleased to see him and comments on his hair. 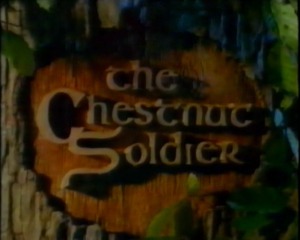 She calls him a Chestnut Solider which startles Evan. He looks around him uncomfortable as though he was expecting someone to appear. Nain meant the colour of his hair and not the tree though. He declines the offer of tea and goes back to the Lloyds and then later takes Nia to the seaside in his car. Gwyn is not too pleased about this. Later that night Nia is woken up by the sound of a horse galloping and she looks out of her bedroom window to see a warrior riding a white horse through the town center.